Brilliant message we must cut off any distractions that seperate us from God. 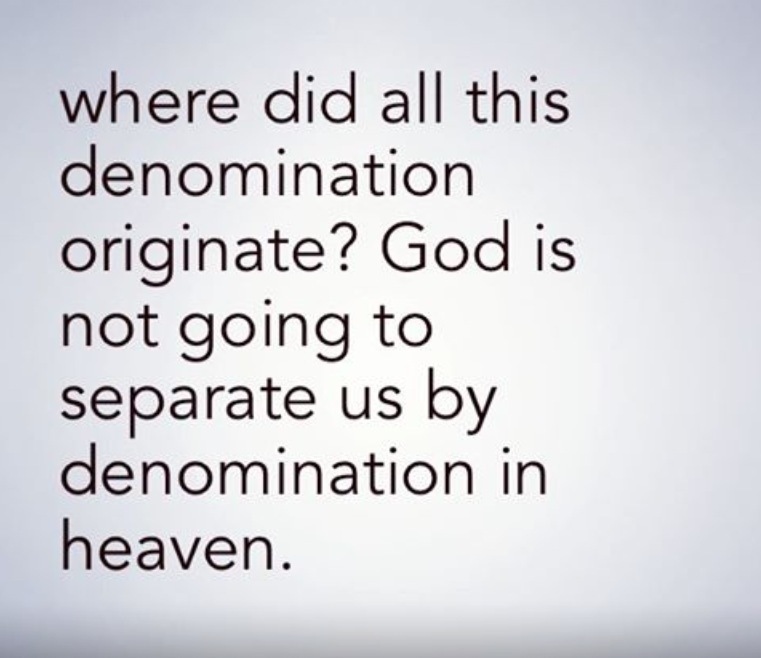 Denominations do they segregate the body of Christ? When the church was birthed in Acts it provided a place for believers to assemble and unite in their shared faith. The members of the original church supported and prayed for one another while worshipping God. Early Christians faced intense persecution, the assembling of the saints was beneficial to lift the spirits of their fellow believers. The church congregation met in each others homes encouraging one another in their walk in Christ. It was a community knitted together by their love for God and their desire to fulfil the great commission. Matthew 28:19-20 ESV / ‘Go therefore and make disciples of all nations, baptising them in the name of the Father and of the Son and of the Holy Spirit, teaching them to observe all that I have commanded you. And behold, I am with you always, to the end of the age’. In the early church there was a strong sense of unity, denominations were not apparent at this point in time and the body worked together for a common good. It was as simple as believers coming together to worship the one sovereign God in one accord. The church were so powerful that when Peter was imprisoned, it was the prayers of his fellow saints that led to his release. 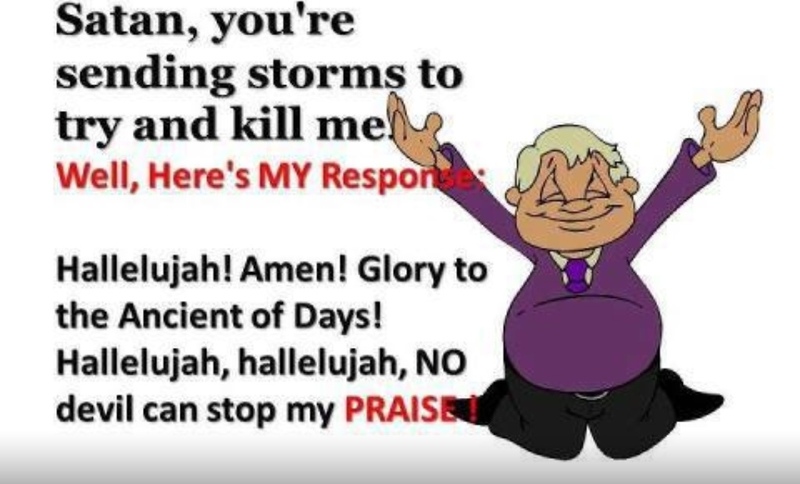 The church’s collective prayers reached heaven. God sent an Angel to break the chains off Peter and lead him out of prison. 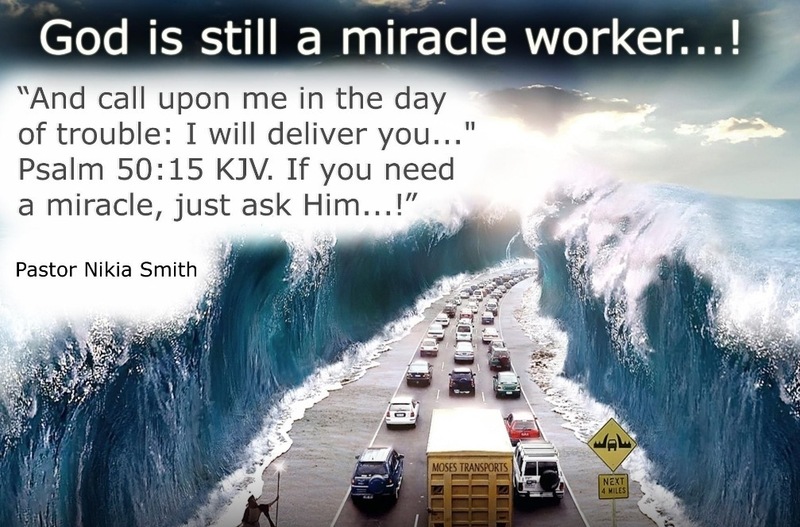 The persistent prayer and unshakeable faith that God would and could release Peter produced results, there was no need for rallying or petitioning not that there is anything wrong with those activities, they were just not necessary for the task at hand. Satan realised he had little power against believers, once they knew who they were in Christ. The scriptures are clear where two or three are p gathered in the name of Jesus he will be among them. Prayer is communicating with God, when the righteous man prays he has the ability to bring heaven on earth. Elijah prayed to bring down fire from heaven as well as praying for rain. The bible tells us the prayers of a righteous man availeth much. Imagine how much the church as a body can accomplish if we all worked in unison solely for the benefit of the kingdom. Acts 2:42-47 ‘And they devoted themselves to the apostles’ teaching and the fellowship, to the breaking of bread and the prayers. And awe came upon every soul, and many wonders and signs were being done through the apostles. And all who believed were together and had all things in common. And they were selling their possessions and belongings and distributing the proceeds to all, as any had need’. 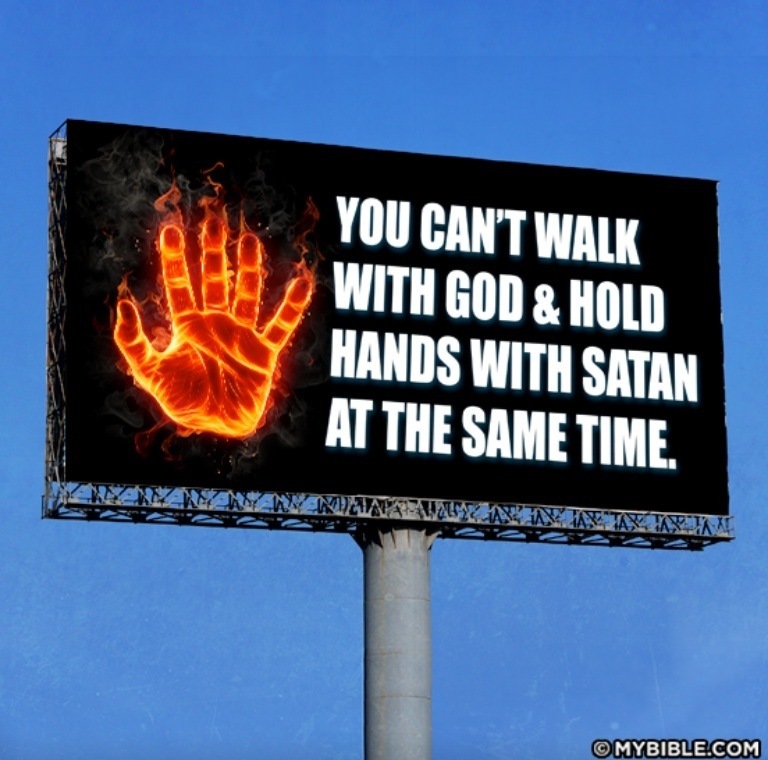 Satan understands how powerful and effective a body of believers working in unison can be. Hence the reason he attempts to destroy the church internally and distract members from praying together. The bible tells us that Satan wages war against the saints, he attacks the church to discourage both believers and non believers and hinder prayers. His main objective is to portray Christians as judgemental and hypocrites if we cannot get along and work together what representation are we showing to unbelievers. Satan is not a creative being he uses the same old tried and tested strategy if you can’t beat them join them. Tactics such as divide and conquer are implemented using workers of iniquity to infiltrates the church masquerading as believers to cause havoc ushering in different spirits such as pride, wrath, gossip, unrighteous judging, unforgiveness and bitterness. Not all judging is wrong it is the motive that is behind the judging that we must be concerned with. If we are truly concerned for our brother and sisters spirituality then we can talk to them in love. We must make sure that we take the log out our own eye before any reproach is carried out. The bible is clear on how we should handle disagreements within the church in an orderly manner Matthew 18:15-17 ‘If your brother sins against you, go and tell him his fault, between you and him alone. If he listens to you , you have gained your brother. But if he does not listen, take one or two others along with you, that every charge may be established by the evidence of two or three witnesses. If he refuses to listen even to the church, let him be to you as a Gentile and a tax collector’. Satan works to create disharmony within the body. He isolates members by causing them to take offence. He works on segregating members to form cliques reducing the power of the congregation so they will not pray in unison. If he can cause confrontations within the body, we will be so focused on our internal struggles we cease to become effective in their own communities and families. Hebrews 4:2 ‘For good news came to us just as to them, but the message they heard did not benefit them, because they were not united by faith with those who listened’. The devil tries to have the church so distracted with trivial issues that are irrelevant preventing the body from functioning appropriately. We see this happening on a broader scale with different denominations disagreeing amongst themselves. No denominations will be present in heaven, only one true church and each member will be judged by what God sees in their heart. We must work out our own salvation with fear and trembling. If we all came together to resolve and pray about certain issues effecting our world and communities we would be a threat to the Devil. God is waiting for a vessel he can speak through people he can rely on. We are called to be the light of the world do not let the enemy’s schemes work in putting your light out. God loves the church and sees all churches as one body. When the disciples saw other people casting out demons. The Lord was in favour and did not attempt to stop them as he knew their intentions were good. When the disciples tried to prevent them, Jesus rebuked them he said if they were not against him they were on the same team. As long as Christians intent is to set souls free or genuine desire to advance the kingdom of God, how can God not be in favour of this. 1 Corinthians 1:2 ‘To the church of God that is in Corinth, to those sanctified in Christ Jesus, called to be saints together with all those who in every place call upon the name of our Lord Jesus Christ, both their Lord and ours’. God will always find people who are willing to do his work. There will always be remnant he will work through, if we refuse to do what we have been called to do he will appoint somebody else to take our place. Matthew 16:18 ‘And I tell you, you are Peter and on this rock I will build my church, and the gates of hell shall not prevail against it’. We all need to give account on judgement day how we lived our lives. Lets not judge one another but work together in love. We can accomplish far more here on earth when we work together. Lets take the emphasis of ourselves and focus on Jesus. We need to be transforming our communities and families’. Romans 16:16 ESV / ‘Greet one another with a holy kiss. All the churches of Christ greet you. We need to work together for the kingdom, united we stand divided we fall. Christians must love one another, we should serve one another and carry each others burdens’. 1 Corinthians 3:9 ESV ‘For we are God’s fellow workers. You are God’s field, God’s building’. Church whatever we bind on earth we bind in heaven, whatever we loose on earth we loose in heaven. We should be praying with one mind and agenda, when we pray like this in faith heaven has to respond. God loves the church and will manifest his power through the faith of his believers. Matthew 18:19 Again I say unto you, that if two of you shall agree on earth as touching anything that they shall ask, it shall be done for them of my father in heaven. Ephesians 3:10 ESV ‘So that through the church the manifold wisdom of God might now be made known to the rulers and authorities in the heavenly places’. Idol worship are you guilty? There are often times in our lives when our desires to have a particular thing can be so intense that if it is not tamed, that desire can spiral out of control gradually transforming into an obsession without us even realising. It is so important for us to check that our desires are godly. Luke 12:34 For where your treasure is, there will your heart be also. What we desire holds our affections the rich man was told to give up his wealth for this is where his affections were and that was what was separating him from God. The bible tells us that God will not withheld anything from the righteous, however we must be careful not to obsess about such things lest we begin to make that particular thing an idol. Psalm 84:11 The Lord will withhold no good thing from those who do what is right. When we do not receive what we desire, we should understand that this may be a learning process in order for us to develop and move forward. We need to pay attention and take note of the lesson God maybe teaching us. If you are unsure what you are being taught than I suggest you ask God for guidance in the matter. The Lord will reveal to you what you need to know. The Holy Spirit teaches us, prayer and fasting are beneficial when trying to hear from God. It is essential for us to clearly establish the difference between our needs and wants, often we want something so bad we find it difficult to make this distinction. We need to let go of what we are striving for, and simply seek God first. Matthew 6:33 But seek first the kingdom and his righteousness, and all these things will be given to you as well. Sometimes we will not be granted the thing we desire most until we come to the place where we are not dependent or desperate. When our desire gradually fades away and we feel we can do without the thing we desire most is usually when God will grants it to us. We can see that God will not take second place to anything in our life regardless of what it is, or how sacred it is to us. Revelation 1:8 I am the Alpha and Omega, the beginning and the ending, saith the lord. He is Alpha and Omega the first and the last, The greatest commandment in the bible is to love God with all your heart mind and soul. Let nothing keep you to busy for God. We need to make a conscious decision that nothing we enjoy or desire becomes an idol in our life. God will give you the desires of your heart and what you need, however he will never give you something that will destroy you. So if you are praying for something and you do not receive it. There are two reasons why you are yet to receive it; either it is not meant for you or you must wait, God maybe working patience in you, God wants to make sure that we are at the right place to receive it. We will not be granted anything which will consequently cause us to lose our place in heaven. Matthew 5:30 And if thy right hand offend thee, cut it off, and cast it from thee: for it is profitable for thee that one should perish, and not that thy whole body should be cast into hell. You are far more precious to God than any temporal possession . We must learn to wait on God, trust that his timing is best. Waiting feels frustrating and at times we cannot comprehend why things are not happening for us, but we must remember God always has a plan for our lives and his plan is perfect. It is a terrible sin to be involved in idolatry, Idolatry infuriates the lord we see in Genesis when Moses broke the tablets when the people were worshipping the golden calf. Moses was a Man of God used as a vessel to speak to the Israelites, we see he did not withhold his temper when he saw the israelites engaging in Idol worship. It is a commandment that we worship God only the israelites believed they were worshiping God and not the devil. The Devil has a lot people duped many are oblivious and in denial that they are even committing this awful sin. Anything that you place over God whether consciously or subconsciously is an idol. Idol worship can come in many different forms could be as simple as a specific sport we are dedicated to, or a relationship that has become more important to us then God or even material possessions. Bottom line is we need to get real with ourselves and make sure we are putting God in his correct place and spending quality time necessary to build up a relationship that is unbreakable. Hosea 14:4 I will heal you of your idolatry and faithfulness, and my love will know no bounds, for my anger will be gone forever. Romans 8:38-39 And I am convinced that nothing can ever separate us from God’s love. neither death nor life, neither angels nor demons, neither our fears for today nor our worries about tomorrow – not even the powers of hell can separate us from God’s love. The Lord is a jealous God and will not share his Glory with anybody. He wants us to put him first in everything we do. We must never love anything more than God. Not our friends, family, children, jobs or possessions. Abraham demonstrated that he loved God more than anything in his life. The son he and his wife waited many years for Issac was offered as a sacrifice. God was pleased with Abraham as he demonstrated God was first in his life and he was obedient regardless of the cost. On the other hand we have Eli who loved his sons above God, who turned a blind eye to all of their immoral activities and refused to discipline them he payed the ultimate sacrifice. Eli’s bad decisions resulted in the ark of the covenant being captured and Eli eventually loosing his life. Sometimes if we received what we desire would we continue God trust us to be faithful. Or would we forget him once we receive what we need. Nebuchadnezzar was given so much power and wealth from God but he became lofty and full of pride, if we fail to check ourselves and give reverence to God the very gift received can tragic consequences have. Daniel 5:19 He made him so great that people of all races and nations and languages trembled before him in fear. He killed those he wanted to kill and spared those he wanted to spare. He honoured those he wanted to honour and disgraced those he wanted to disgrace. But when his heart and mind were hardened with pride, he was brought down from his royal throne and stripped of his glory. He was driven from human society. He was given the mind of an animal, and he lived among the wild donkeys. He ate grass like a cow , and he was drenched in the dew of heaven, until he learned that the most high God rules the kingdom of the world and appoints anyone he desires to rule over them. We need to study his word and show ourselves approved, spend time with God daily let him become our everything . The devil will use anything to keep you busy and separated from God, be wise to his schemes. Let nothing become a distraction from spending time with God. The more time we spend with the father the more we will become like him. His ways will soon become are ways, invest your time and energy in the things of The Lord. Hosea 14:8 Stay away from idols ! I am the one who looks after you and cares for you. I am like the tree that is always green, giving my fruit to you all through out the year. Giving praise to God is being thankful for all that God has done in our lives. The definition of the word praise is an expression of credit or honour. To speak well of something or praise God in the form of worship and songs. There is something therapeutic about getting lost in pure worship, magnifying The Lord, exalting and glorifying God. Music has the ability to transform an atmosphere, if you played a jazz song you will create a different setting to that of a rock song. Worship music draws the presence of the Holy Spirit and creates a climate to worship God. It is in God’s presence where you will experience peace and encouragement. David was called to play the harp to King Saul whenever he was tormented by an evil spirit, once the harp would play the evil spirit would depart from Saul. Giving thanks is a form of praise we have so much in life to be thankful especially when we compare our lives to those living in third world countries, we have been blessed. We must take time to demonstrate to God our appreciation. We should worship God and be consistent praising even when we do not feel like it, for our obedience pleases God. It is imperative that we submit to God daily, dying to our flesh will and emotions. We should learn to trust God and realise that he will take care of every situation. Once we believe this we will not be moved by every attack of the enemy. The enemy will manipulate people to create havoc in the lives of God’s people, but the Lord takes care of those that love him. If God is for you then nobody can be against you. When the philistines captured the ark of the tabernacle. God destroyed their God Dagon ” And when they arose early on the morrow morning, behold, Dagon was fallen upon his face to the ground before the ark of The Lord; and the head of Dagon and both the palms of his hands were cut off upon the threshold; only the stump of Dagon was left to him 1 Sam 5 :4. When the Israelites were being persecuted by Pharaoh, God afflicted the egyptian people with boils and ailments. God is always dealing with the situation even when we cannot see it. He fights all of our battles we just need to be still and let him be God. Being still in God’s presence is the only way to remain calm in a stressful situation, it will bring you peace in the midst of your storm. 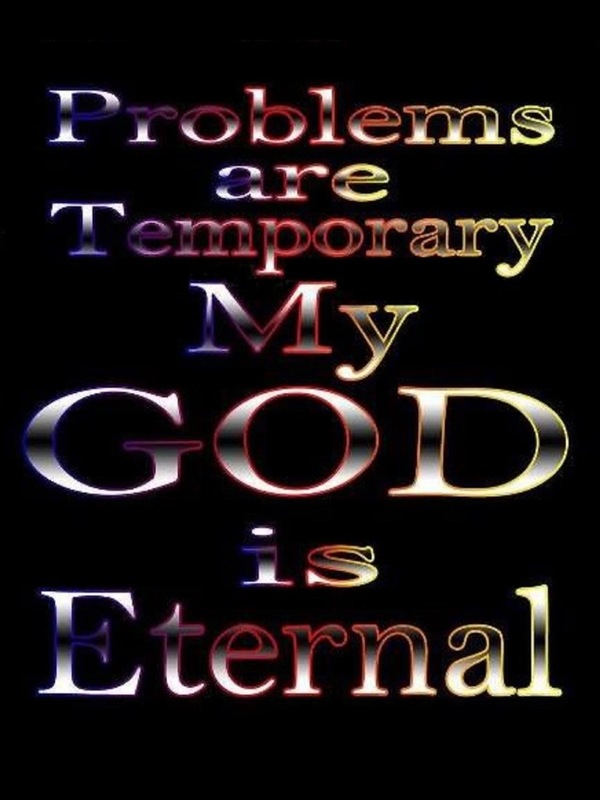 People get weary but God does not he is immortal with an unlimited supply of strength. As christians we get persecuted for following christ, however when people attack Christians who are truly serving God, God takes this personal. Attacking those who follow christ is looked upon by God as if he is experiencing the situation first hand, God loves us dearly and feels our pain. When Saul was persecuting the early christians the lord approached him on the road to Damascus , he explained that when Saul was hurting the christians he was persecuting God. And he journeyed , he came near Damascus: and suddenly there shined round about him a light from heaven: and heard a voice saying unto him, Saul, Saul , why persecutest thou me ?Acts 9:3-4. Do not be weary in doing good just continue to show love in every situation, even when you do not feel like doing this. Our reward comes from God and not man, if people are still oppressing you or returning evil for good then rest assured that vengeance belongs to the Lord. There is no need to take matters into your own hands, just be happy that you have done what is required of you in the eyes of the lord. Proverbs 17:13 if anyone returns evil for good, evil will not depart from his house. So do not worry if you are facing persecution God has your back. Rest assured God is willing to rescue you from any desperate situation. Naomi found herself in an awful predicament she was destitute, not only had her husband died but her sons died also. In this time period if a widows husband died there was no insurance cover or pension fund available. Naomi was in a very vulnerable position her future would have looked bleak and uncertain for Naomi, however Naomi and Ruth trusted God. Ruth married Boaz who continued Naomi lineage and Jesus was a descendant from that family lineage. God specialises in making a way where there seems like no way. The Israelites were fleeing from the Egyptians when they arrived at the Red Sea. They could either proceed in to the water or turn back and continue to be enslaved by the Egyptians. The Lord opened up the Red Sea, parting the waves so they could travel across safely, as soon as the Egyptians attempted to cross the Red Sea God closed the waters. All the Egyptians who were pursuing the Israelites drowned. God is always in control he never looses a battle, sometimes he doesn’t rescue us immediately. There are some lessons we need to learn in order to grow in our faith, God may be trying to teach us patience so we have to endure certain things, however not every struggles is presented to teach us something, sometimes our struggles are simply to glorify God. As Christians are lives are a witness to people of God’s unfailing love, our lives become our testimonies. Regardless of what the situation appears to look like God remains in control. Make a joyful sound on to The Lord and keep praising his name. Praise God through your circumstances. In the midst of your storm keep moving, just when you can’t see no way out. When the situation is at its most intense is when your miracle is often coming. The lord will step in and transform the situation, he will demonstrate who is boss. Never underestimate the power of God. This is the confidence we have in approaching God: that we ask anything according to his will, he hears us 1 john 5:14-15. The praise the devil didn’t want you to give will lift you out of that place of depression. It will bring you into the presence of The Lord where there is joy and peace. Praise is essential to worship declaring God’s glory with our mouth into the atmosphere. The spoken word is so powerful and will penetrate into the atmosphere, it will begin to change your surroundings as well as your situation. After intense praise and worship your mood will begin to change. Troubles only last for a season so endure and praise God for joy comes in the morning. Your test will soon turn into your testimony. The cares of this life may knock you down, get on your knees pray and rise up and praise God do not accept defeat. There is purpose in your pain, your testimony will be a blessing to others. It will strengthen others experiencing similar trials. It is encouraging to know that no matter how bad things get, God can and will turn it around for his glory. If he did it for you he will do it for someone else. God is not a respecter of persons he hears those who call out to him. He is near to the broken hearted. He will call on me and I will answer him, I will be with him in trouble , I will deliver him and honour him psalms 91:15. God is the same today and yesterday, he loves those that love him. Praise him constantly that is what will keep you going through your trials. Our sole purpose on this earth is to worship our heavenly Father. Worship is pleasing to God and holiness glorifies our father in heaven, Heaven is a place of continual praise God inhabits our praise, there is power in our praise. God desires for us to be thankful in any given situation, through the good and the bad come rain or shine. In everything give thanks for this is the will for you in Christ Jesus 1 Thessalonians 5:18. Praising God through our circumstances turns your focus on to God and shifts them away from the actual problem. The Hebrew word Towdah means to praise the Lord even when everything is upside down in your life. To praise The Lord even when we don’t feel like praising him. This can be extremely challenging especially when we going through a painful situation, but God is more powerful than any situation we encounter, he alone can turn any situation around with minimal effort. For my yoke is easy and my burden is light Matthew 11:30. The bible tells us to cast our cares and burdens on to the lord. If we focus on our problems we make them appear bigger than God. The bible never promises a care free life free from tribulation but God reassures us he will never leave us nor sake us. He is right by our side, even when everyone around us forsakes us. The lord himself goes before you and will be with you, he will never leave you nor forsake you. Do not be afraid, do not be discouraged. Deuteronomy 31:8. The lord well stand by us throughout our most challenging trials. Look at the three Hebrew boys who were thrown into the fiery furnace for the refusal to bow down. The Lord allowed them to be thrown into the furnace , however they were not burned and there was a fourth person in the furnace alongside them. Daniel was thrown into the lions den but The Lord protected him by shutting the lions mouth. In this world we will have tribulations and trials but we should be thankful, Christ suffered what makes you think that you will not experience pain on this earth. My brethren, count it all joy when ye fall into divers temptations James 1:2-3. This is not our home or where we will spend our eternity, we are passing through and will be judged on how react during our time of tribulation. The bible says many afflictions come to Christians but The Lord will deliver you from all of them. If God said it people he will do it, all we have to do is trust in him. God is looking for people he can trust, can he depend on you to believe irrespective of what obstacles are coming your way. Not only is the lord our reason to hope, he is the solution for all of our problems. We cannot worry or be anxious as The Lord is a mighty refuge and will never give us more than we can handle. Even when it feels like we cannot handle these trials we need to realise who we are in Christ and God is our refuge and source of help. ‘ I can do all things through Christ who strengthens me Philippians 4:13. Place your confidence in Christ and not your flesh. Acknowledge your problems, take them to your father who cares and loves you. Then don’t worry just praise him for what he is going to do. He is your deliverer and comforter he will never fail you. Worrying will not improve the situation, it just highlights And magnifies the situation. The minute we begin to take our eyes of Christ we lose our perspective. Reminisce on the situations were God brought you out of that situation you felt was unbearable and would never make it through. Ponder on the what the outcome would have been if he choose to leave you in that mess you were involved in. If it was not for his grace and mercy what would your life look like now? Has God not proved himself to be able, he has shown you so many times he can transform any situations. If God did it before believe he will do it again will. Our God is sovereign he rules the universe , nothing is impossible for him. When we get back to this mindset despite what is going on around us, our hope will not be shaken and our faith will be restored. God has proved to us that he is worthy of all the praise. We need to abandon all our problems and come into his presence and magnify his name. He is excellent and we need to reflect this in our worship, his Holy Spirit will begin to flow thorough us and lift us out of that low place when we truly worship, our spirit will be revived . We serve a mighty God who is able and deserves all the glory. The devil cannot stand worship this is why he oppresses christians, so that we begin to focus on ourselves instead of God. He knows how powerful praise is he was kicked out of heaven and understands the change that comes from that intimate time of worshiping the creator. Our praise glorifies God, let us not be subject to devil’s schemes, praise God whatever the situation because he is worthy.